Aluminum is on the rise in the auto industry. At B&E Collision in Kingsport, TN, our full service aluminum repair facility can provide a wide range of aluminum repair services. We have invested in the equipment and training for our staff to provide this service right here in Kingsport. The new Ford F150 is made of 95% aluminum and most body shops will not be equipped to repair them. 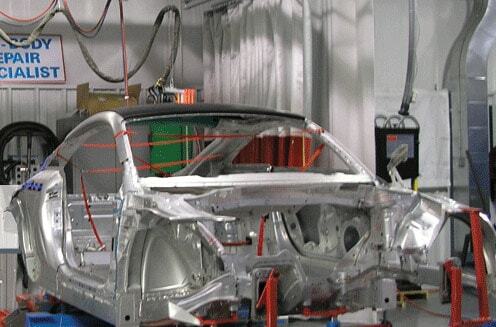 Aluminum is used in vehicles to reduce their weight, thus increasing their efficiency. Unfortunately, this metal is more difficult to repair than steel. Repairing vehicles with aluminum damage requires special welders and tools that are approved by the vehicle’s manufacturer. We have the tools and training to return your vehicle back to its original condition. If you have a vehicle made with aluminum, there is only one choice for its repair, B&E Collision.